It's been nearly two years since I reviewed the iBert Safe-T Seat, so I thought I'd post an update with how things have gone since then. 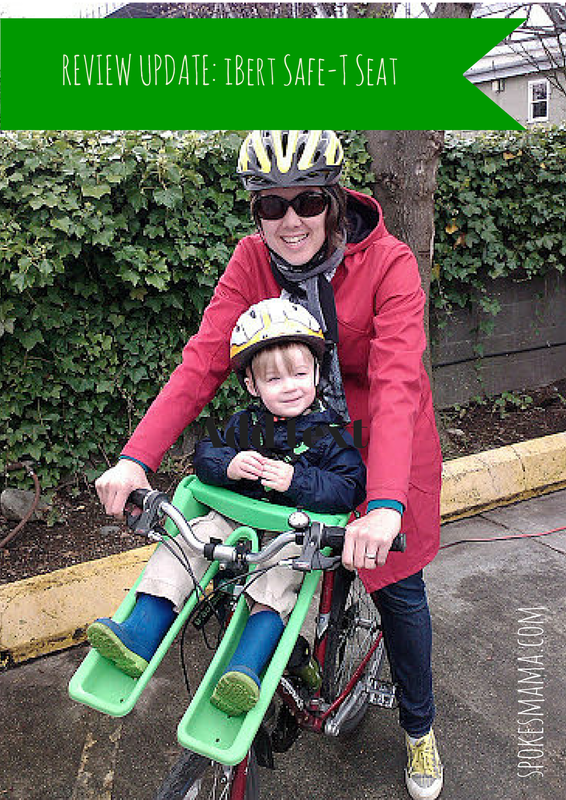 We've used the seat a lot--far more than our bike trailer, because it's just a lot simpler to get on & go. Here are the pros & cons, two years on. The foam seat pad isn't great quality--I got tired of putting the plastic pins back in that held it in place & eventually lost them all. The holes that held it at the top seat back also tore through. The seat works fine without the pad & Linnaeus has never complained about it. The seat still seems a bit rattly, but it is really easy to mount & dismount on the bike, which we do quite often. If you're a recreational rider who'll always ride with your child, you might not need this feature & can save some money buying a Polisport Bilby, for example. The 'stinger', the metal rod that the seat slides onto, has never stayed straight on my bike, for some reason. No matter how many times I adjusted it, the thing would always end up pointing a few degrees to the left. Possibly a defect in this particular one? It's never affected the function of the thing & isn't enough to affect the balance, so I haven't worried about it. 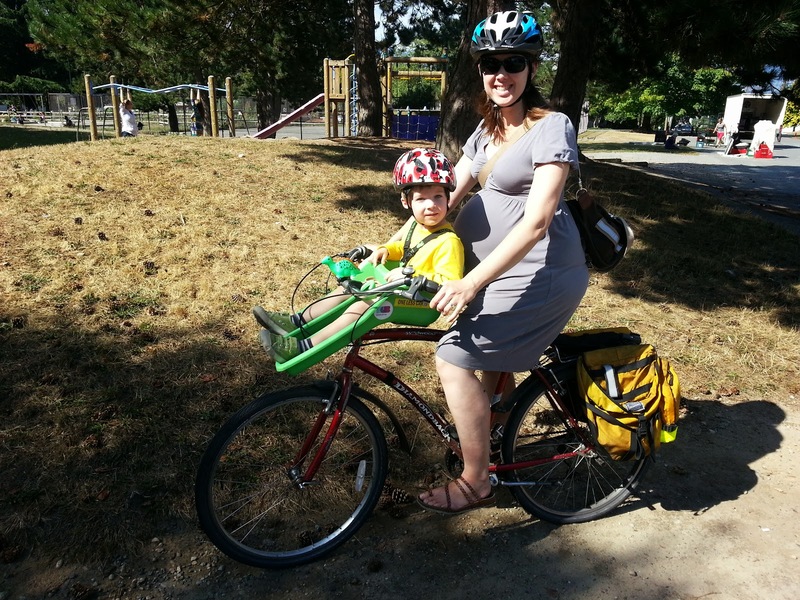 If you have a heavier kid, they will grow out of the weight limit for the seat before they're ready to ride on their own or use a trail-a-bike. Because the legs of the iBert go under the handlebars of the bike, I found that Linnaeus' boots would always get pulled off as I was taking him out of the seat, even when he had much smaller feet. The iBert seat sits very far forward, so there's lots of room for a taller child to sit in it. Linnaeus is taller than average for his age, but he doesn't hit my chin or chest when we ride. I found it really easy to adjust to having the weight of a child on the front of my bike & soon felt very competent riding with Linnaeus in the iBert. The legs of the seat are still long enough for Linnaeus, who at age 3.5 is now at the maximum weight limit for the seat (35lbs). The seat is quite simple to get a child into--open the bar up, slide them in & clip on the three-point harness. The iBert seat sort of cups the child in it & would be difficult for them to wiggle out of or fall off of. I still like the seat & recommend it to people. I'm definitely a big fan of front-mounted child seats. One thing to note when you're looking at using a front mounted seat is the type of handlebars you have. I highly recommend switching to more swept back cruiser style so that you can sit more upright. It'll give you more room for the seat & I thnk better control of the bike, as you'll be putting less weight on your hands. 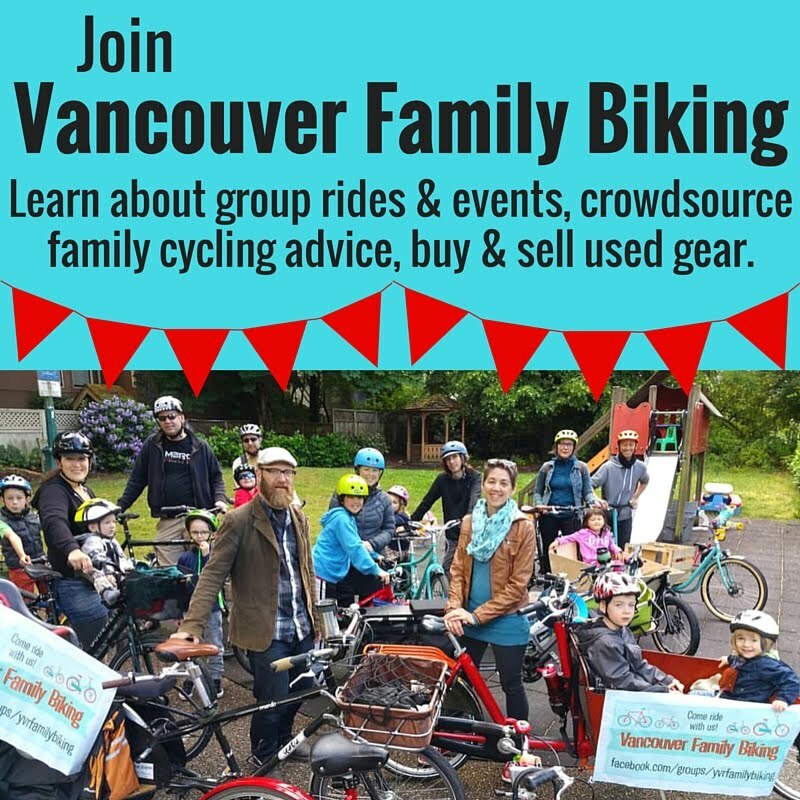 If you want to try out the iBert & you live in Vancouver--let me know! I am happy to give people a go on ours just to see it in action. If you want to buy one, The Bike Doctor has iBerts, as well as a few other models. Have you ever ridden with an iBert? What did you think of it? Do you have any points to add? Or do you have any specific questions to ask about the seat? Please leave them in the comments below!